You’ve seen it hundreds of times in the movies: The girl sitting in a corner drinking punch, whom a cute boy brings out to dance. She gives him her hand, and then they dance slowly and romantically in the center of the dance floor, all the prom dresses seem to move to the beat of their heartbeat. After the dance, the boy accompanies her home; they stop at the entrance, and she says: “I had a great time tonight.” He says: “Me too.” Both look at each other and then, they kiss. Maybe you want that to happen to you, but you still do not have an appointment for your prom. As we know, boys are a complicated terrain (especially in high school). However, we are in a new era where initiative is no longer just a matter of men when it comes to relationships and dating. More and more daring girls are encouraged to take the first step and ask out the dream guy. 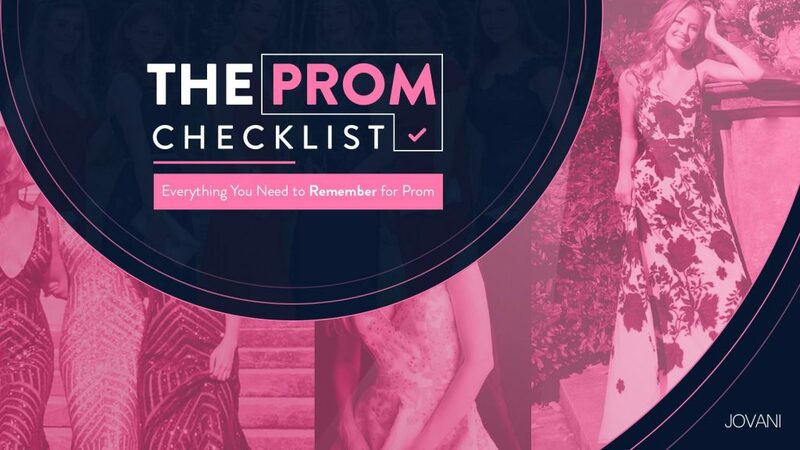 However, it doesn’t mean is simple: some men can feel intimidated; therefore, here in Jovani, we want to give you these six steps to ask him out and have the perfect prom date. Get him to notice you: The first thing you have to do is to get the boy in question to acknowledge your existence (just in time to go to prom). Sit next to him at a football game or have a conversation with a close friend so that you will enter the map. All this while maintaining a relaxed attitude. Start a conversation: After the first contact with your group of friends, start with small talk and get to know each other, which will then flow naturally with more meaningful conversations as the days go by. If you feel a little shy at first, use your best arsenal of memes and emoji; We know you have a great sense of humor and he will love it. Make sure that the person you like wants to go to the dance. He may not feel encouraged to go because he does not have a date; That is a first opportunity to try to open his eyes and convince him to attend. If you accept, it’s great since you’ll be able to move on to step four. Always look fabulous. Even when he’s not around, the school is smaller than you think, you never know whom of his friends you could run into; so you always need to dress to impress. You can take advantage of a classmates party before prom and apply a glam look (natural makeup, some shine, and lipstick that may tempt). If he will attend, and you have established confidence you can even give him a little sneak peek of prom night by wearing a beautiful and classy dress – while you pre-select prom dresses. Dare him: You can propose to go to the movies or to take some malts, but be sure to make it clear that the proposal is for the two of you. You can ask so that it is not that direct: “Would you like to go to the movies together sometime? ; If he says yes, he challenges his wit to decide the rest of the date. The rest depends on the two of you. Now you have to worry about choosing among our beautiful 2019 prom dresses collection, which one matches your style to make your prom party the most magical moment to date (and perhaps, star a great love story). What did you think of these six steps to get a boy to ask you to go to prom? Would you put them into practice?